The first question that generally comes to your mind whenever you are subject to abuse is when reforms would come into place that would salvage your situation. Mis selling is a rampant practice in insurance. You surely know of someone who was mis sold an insurance policy? Insurance agents have not exactly covered themselves in glory and have indulged in rampant merciless selling of unit linked insurance plans. This is mainly to secure higher commissions and meet their marketing targets as these products were high profit making products for these insurance companies. What Do You Think Happened Because Of This? There is a saying " Trust Once Lost Is Forever Lost ". The result of this was these insurance products as well as agents got a bad name and the operation sell sell sell blew up in the face of these insurance companies. Mission " Clean Up " was necessary and was initiated by the " Insurance Regulatory And Development Authority Of India ". The aim of these sweeping reforms in Unit Linked Insurance Plans was to restore faith in the minds of the public in such policies and save the life insurance agencies from certain death. These unit linked insurance policies per se were not bad but the " Horses For Courses " practice was not being followed .These products were marketed as the " Be All And End All " of all insurance products. 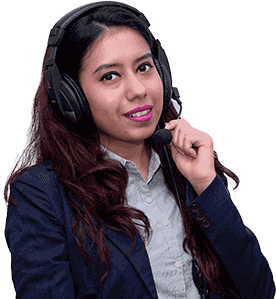 I would like to remind you that the team of Financial Planners at IndianMoney.com are always there for you to plan your insurance needs in a most effective and efficient manner. You can explore this unique Free Advisory Service just by giving a missed call on 022 6181 6111. You must be knowing about the US Subprime crisis and the impact it had on the Indian Stock markets. There was a huge crash in the stock market in September 2008 leading to risk averseness among the investors in the markets. This was followed by a booming rise in the markets from May 2009 up to December 2009 and markets continue to rise higher and higher even today. This resulted in great excitement among insurance companies as they had a new weapon none of their predecessors possessed." The ULIP ". This was an instrument which combined the insurance component with an investible portion and since the markets went sky-high the potential for these instruments was immense. These policies encouraged shortcuts where premiums were payed only for about 3 years .The insurance company charged high costs and deductions on premiums and recovered their expenses and made huge profits at the cost of the customer. The result of this was a very low persistency ratio of less than 50%.Policy holders did not renew these policies and this gave a bad name to insurance agents leading to sweeping reforms in the sector." There Are No Shortcuts To Success ". You must be knowing that the lock in period for ULIP Policies was raised from 3 years to 5 years. Why Was This Done? Most of the policyholders surrendered their policies within 3 years of taking them up , the surrender value being very low. You know that the ULIP is designed such that the charges are very high initially and gradually decrease to nil. You would incur very high costs initially but these costs would gradually reduce to nil. The returns would be higher if you stay locked in for a higher period of time say 5 years .Most of the policyholders surrender these policies within three years as they do not realize any profits and suffer heavy losses and have burnt their fingers. They commit a bigger blunder to the one initially committed by surrendering these policies for very low values. You know that before the reforms in ULIP’s came into place insurance agents profited heavily for the three years in which about 40 % of the premium amounts went as commission to the agents in the first year itself. This was followed by 10% in the second and third years respectively. This was a major incentive for the agents to mis sell the ULIP Policies. Agents fattened themselves on these commissions and the invested policy holder was left with nothing. The agent would then focus on selling a new policy to the same customer asking him to surrender the policy which obviously fetches nothing and then you would find him at your doorstep with a so called better policy. Under the new policy the insurance agents would be allowed to charge 4 % on the annual premium paid for the first 5 years. For plans of 15 years 2.25% on the annual amount will be charged. You know that ULIP policies should compulsorily have a health cover or a mortality cover. The mortality cover for a person who enters these policies below 45 years would be 125% of the single premium in case of single premium policies. In case of regular premium policies we have 10 times the annualized premiums or (0.5 *T*annualized premium) whichever is higher. In case of a person above 45 years it would be 110% of the single premium on a single premium policy and 7 times the annualized premiums or (0.25 *T* annualized premiums) whichever is higher. At no point of time should the death benefit be less than 105% of the total premiums inclusive of the top up. So why was this done? Initially the mortality cover was 5 times the premium as most of the premium went towards commission charges. Now with the commission of agents reduced higher percentage is allocated for mortality cover .Prior to September 1st 2010 no medical test was required on a ULIP Policy .You must be wondering why it is so? .The medical cover was insufficient to match the policy holders needs .Hence as health cover was not the prime motive of these policies the medical tests never came into the picture. Before the reforms if you surrendered that ULPP Plan you would get only your fund value back. After deduction of charges the surrender value obtained would be very less. Under the new rule the policy is locked in for 5 years and you cannot get any surrender value during this period. You get a third of the fund value or the assured amount according to the type of your policy after 5 years. The remaining amount is locked in a compulsory annuity policy given to you on your pension plan. This locks in value for your retirement years. Now You Have To Think Carefully Before Taking That ULPP Plan. The ULPP Plan now guarantees a return of 4.5% per annum for annuity and pension products. Before reforms you would lose heavily if you surrendered those ULIP Policies within a year or two due to any financial emergencies. You would incur surrender charges up to 90% of the fund value or the annual premium .Wouldn’t you be left with almost nothing? .Now the surrender cap is INR 6000 per annum which gradually decreases with passing years and is nil from the sixth year onwards. This gives you a huge benefit vis a vis the earlier conditions where if you are now forced to surrender that policy you would get a decent surrender value. I would like to explain to you how these guaranteed highest NAV ULIP Plans work. Let us consider a policy which has an NAV of INR 20.This policy allocates 100% of the available corpus in equity. Now there is a massive bull run in the market. The NAV is now INR 25 in the third year. The investor expects a minimum NAV of INR 25 as it is the highest NAV so far among the seven years. The insurance company will invest a proportion of this equity amount in debt instruments such that it gives an NAV of INR 25 in the next four years , where the debt instruments give a rate of return of 6-7%.The remaining proportion is in equity which he continues to invest in the market. Since there is a massive bull run inspite of allocating amounts in debt the insurer is left with huge proportions in equity. Now at the end of the 7th year NAV falls to INR 15 the policy holder expects an NAV of INR 25.Since this amount is locked in the debt instrument it is guaranteed and if he liquidates the portfolio he still gets an NAV of INR 25.The equity component reduces in the hands of the insurer at this point but since he stays invested he can pocket this amount and liquidate it when the returns are high. Similarly his returns increase in proportion to the number of units invested. The policy holder gets the highest guaranteed NAV of INR 25. The IRDA wants to ban these products on grounds of ambiguity as these are actually debt instruments masquerading as equity instruments. The policy holder thinks he has invested in an equity instrument which is actually a debt instrument. I would like to end this article with the famous saying " Only In Growth Reform And Change Can True Security Be Found ".